DETROIT (Reuters) -- Delphi Automotive said its net income in the fourth quarter more than doubled to $298 million compared with $136 million a year earlier. Revenue rose 11 percent to $4.18 billion, above the $4.08 billion analysts had expected. Revenue grew 14 percent in Asia, 9 percent in North America and 7 percent in Europe, but fell 6 percent in South America, the supplier said today in a statement. Profit rose 38 percent in the company's core electrical and electronic architecture business, and 20 percent in the powertrain systems unit. It also increased in the electronics and safety, and thermal systems businesses. 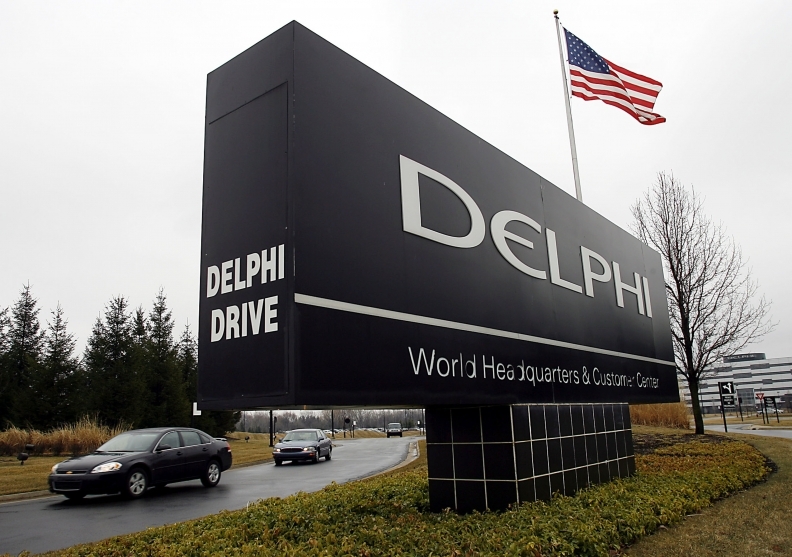 Excluding one-time items, Delphi earned $1.12 a share, 8 cents more than the figure analysts polled by Thomson Reuters I/B/E/S had expected. Delphi, however, offered a weaker forecast for the first quarter than Wall Street expected. It forecast earnings before one-time items in the range of $1.04 to $1.08 a share on revenue of $4.2 billion to $4.3 billion. Analysts were expecting $1.19 a share on revenue of $4.36 billion. For the full year, Delphi said it expects to earn $4.70 to $4.95 a share before one-time items on revenue of $17.2 billion to $17.6 billion. Analysts were expecting $4.90 a share on revenue of $17.46 billion. The company said the mid-point of its earnings forecast for the year assumes that global vehicle production increases 3 percent. The company's outlook still has the company's sales growing about twice as fast as the expected growth in auto industry vehicle production, said Michael Razewski, principal with New York-based Douglas C. Lane & Associates, which owns Delphi shares. "As long-term investors, I'm not necessarily worried about first-quarter guidance, which was a little light," he said. "It makes sense for the whole industry to be cautious. Under promise and over deliver, Delphi's been doing that for three or four years now." Delphi ranks No. 5 on the Automotive News list of the top 100 global suppliers with worldwide sales to automakers of $14.4 billion in 2012.